Enjoy the typical photo booth experience but with an extra twist, the GIF booth automatically strings pictures together to put your picture in motion. 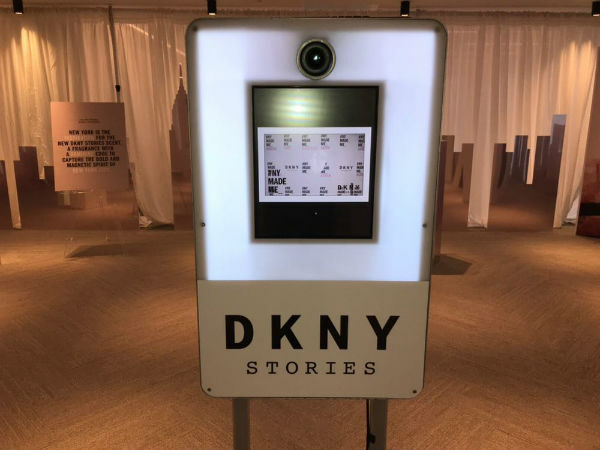 Everyone loves a good GIF and now you can book the GIF booth to star in your own and share it online as you strike a pose or break into dance alongside your friends or family. 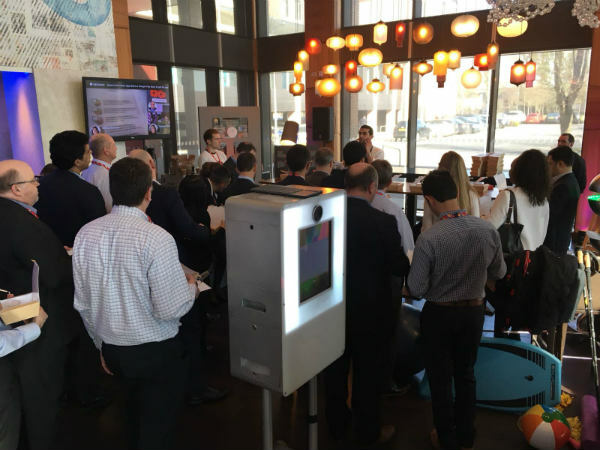 You can pick the format, style of booth and even add branding on the GIF Booths to ensure they will be a hit at your event. 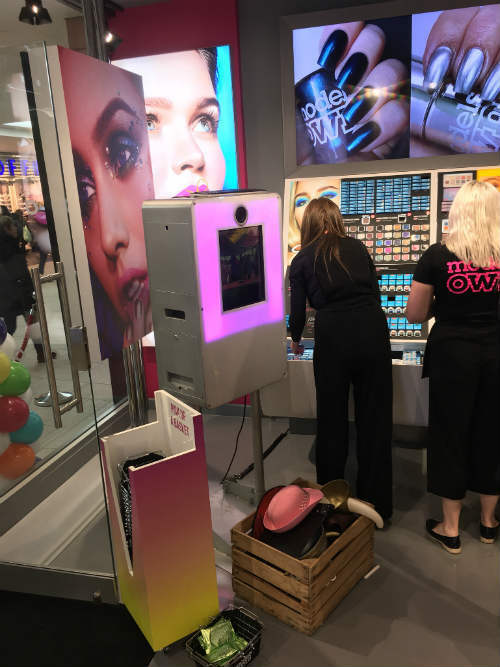 GIF Pro – For extra high-quality, stylish results this booth is specially outfitted with a ring light to catch the user’s attention and a bounce card for the flash, so your GIFs look flattering and professional. 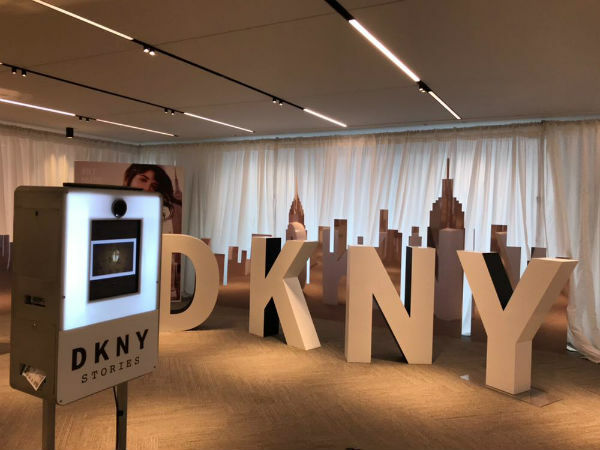 GIF Sleek – Tall, Sturdy and eye-catching this booth is great for branding and will fit perfectly into the aesthetic of your event while still grabbing attention. GIF Pod – Stylish and sleek this attractive design uses up minimal space but still incites maximum fun while having room for effective branding. GIF Booth – The classic booth style with a contemporary look, this is perfect if you want a bigger statement to maximise your branding. It also has a built-in guide to help guests. Foregrounds – For an atmospheric GIF you can add some creative foregrounds to the image, whether it’s an animated effect such as falling snow or confetti or getting your name out there with some branding in flashing lights or an eye-catching format. Backdrops – Add some colour to the GIF and get a bold and interesting background installed for all your guests to pose in front of. Props – Jazz your GIF up with a variety of different props such as wigs, confetti, streamers and hats to ensure the result is one for the books. Burst – A succession of quick snaps that will be automatically compiled into a GIF, like a short digital flipbook. Boomerang – The camera will record a few seconds of footage and then rewind and play it back on a loop. It looks stylish and gives your guests the opportunity to try out some memorable moves. 3 and 4 shot GIF – This versatile format gives you the chance to try out a range of poses then pick your favourites, so they can then be strung together to form the perfect GIF, sort of like a miniature showreel of your best looks. Glitch – A unique and edgy style, this will take the clip and separate the colours while zooming in and out for a futuristic and creative GIF. There is also the option of adding music making it great for branding as it will stand out even more. Morphing – Give your guests a taste of fame and allow them to morph into celebrities and famous figures with this popular style of GIF, they can transform into the likes of Audrey Hepburn or even Freddie Kruger. 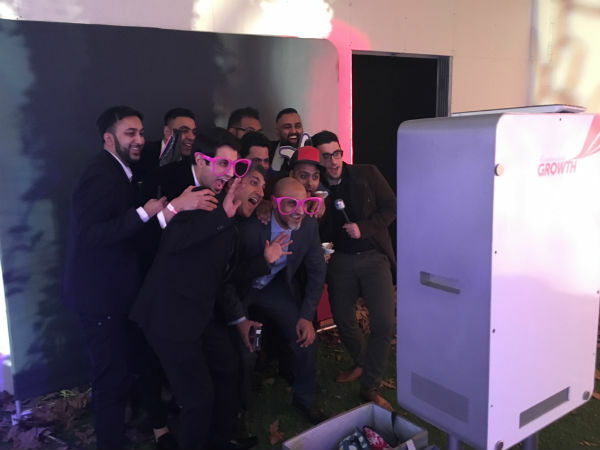 The possibilities are endless with the GIF booth, your guests will be flocking just to have a go and see themselves in action with some colourful, funny, creative and impressive results. When you book the GIF booth you can choose everything from the style of booth to the background to make sure it is the right fit for your event. 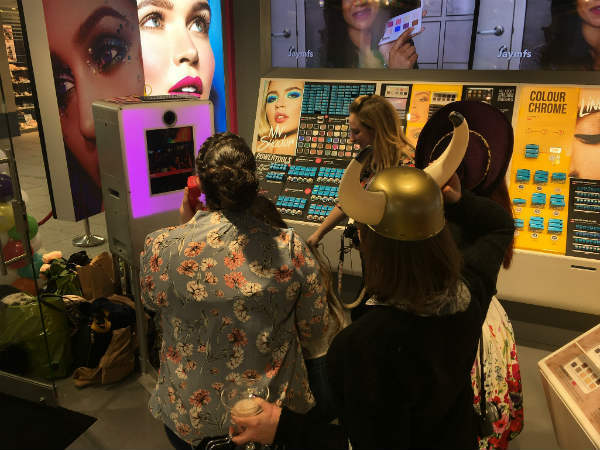 If you hire the GIF booth you even get the choice of branding in a natural and unforced way, with the guests sharing on popular social media sites the word is sure to spread and the company or product name will automatically be associated with fun and celebration which is sure to appeal to the masses.